In 2009, The Midwest Clinic Board of Directors underwent several momentous changes. Following its December elections, the Board is pleased to announce its new officers: Richard C. Crain, President; Dorothy A. Straub and John L. Whitwell, Vice Presidents; and Mark N. Kjos, Treasurer. David C. McCormick continues to serve as Secretary. The Board is also happy to introduce its newest member, Mark Laycock, who joined last year and has already made significant contributions to The Midwest Clinic. The new officers bring a wealth of knowledge to their roles, drawn from illustrious careers in music education and the music industry. Each also offers a deep commitment to The Midwest Clinic, and a long history with the organization and the annual conference. Richard C. Crain recently completed a tenure as Director of Instrumental Studies at Houston Baptist University and serves as the Orchestra Director at Spring Baptist Church. He previously spent 21 years as Director of Music for the Spring Independent School District near Houston, Texas. He also served as Head Band Director at Westfield High School, Spring High School, and Belton High School. His bands performed at The Midwest Clinic (1980) and in the Tournament of Roses Parade (1974) and won honors in concert and marching contests in Texas, Louisiana, Virginia, and Colorado. In 2000, Crain retired from public school music education after 44 years of service. He is a frequent adjudicator, clinician, and consultant throughout the US; and he has been a presenter for numerous university summer band camps, music education classes, and state music conventions throughout the US and Canada. 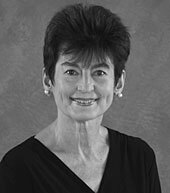 Crain has served on The Midwest Clinic Board of Directors since 1992 and was a Vice President from 2004 until late 2009. His numerous professional activities include serving as the Festival Coordinator for the National Concert Band Festival (1991-2008), a Region Chairman and Band Chairman for the Texas Music Educators Association, and International Executive Secretary of Phi Beta Mu International Bandmasters Fraternity (1977-2008). While living in Houston, Crain was director of the Houston Police Department Band for one year and one of the directors of the Summer Olympics Band that performed at the 1987 opening ceremonies. He is Past President of the Texas Bandmasters Association (TBA), the Alpha Chapter of Phi Beta Mu, and the Texas Music Adjudicators Association. Along with his wife Gayle, he served as the Executive Secretary for the University Interscholastic League Region IX band, choir, and orchestra contests for over 11 years. He and Gayle were inducted into the Bands of America Hall of Fame in 2005. Crain is a member of the American Bandmasters Association and is a co-author of Band Expressions, Books I and II (Alfred Publications). Crain’s many honors include The Midwest Clinic Medal of Honor (2007), Phi Beta Mu International’s Outstanding Contribution to Bands Award (2009), TBA’s Music Administrator Lifetime Achievement Award (2006), Texas Bandmaster of the Year (1994), and the Texas Bandmaster Hall of Fame sponsored by Phi Beta Mu (2002). The Richard C. Crain Fine Arts Building at Spring High School was dedicated in 2000. The Crains live in The Woodlands, Texas, and their three sons, successful businessmen in nearby Houston, are Scott, with wife Jennifer and children Lauren, Emily, and Joshua; Chris, with wife Melissa and children Jacob and Caroline; and Steven. Dorothy A. Straub retired as K-12 Music Coordinator for the Fairfield, Connecticut Public Schools. She served as President of MENC: The National Association for Music Education from 1992 to 1994, and was involved in the development of national standards in music as well as advocacy efforts for the arts in education. She is the conductor of the Concert Orchestra of the Greater Bridgeport Youth Orchestra and is a violist in the Greenwich Symphony and Greater Bridgeport Symphony. She is active as a string and orchestra clinician and workshop presenter for string educators. John L. Whitwell is the Director of Bands Emeritus at Michigan State University. Prior to his appointment at Michigan State University, Whitwell held positions at Stephen F. Austin State University and Abilene Christian University. He also taught in the public schools of Michigan as band director at Ann Arbor Huron and Northwest Jackson high schools. Whitwell maintains an active schedule and is in great demand as a guest conductor and clinician throughout the United States, Canada, Mexico, and abroad. 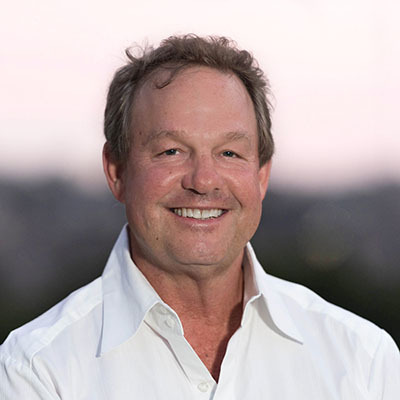 Mark N. Kjos, President of the Neil A. Kjos Music Company, first attended The Midwest Clinic as a child, and has not missed the conference since 1990. He joined the Board of Directors in 1998. David C. McCormick’s experiences include work as a tuba player; college band and orchestra director; high school band director (which he considers the most important achievement); university campus administrator, music executive and professor; and academic vice president and acting president of a state system of colleges and universities. 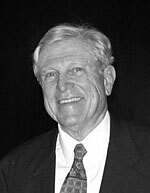 He was a founder of the National Band Association and has had leadership roles in the Indiana, Illinois and Louisiana Music Educator Associations, College Band Directors National Association, Ford Foundation-MENC Contemporary Music Project, Alliance for Arts Education and the National Assembly of University System Academic Vice Presidents. His Midwest Clinic service began on the set-up and equipment crew, followed by many years as liaison between the clinic administration and the performing groups, and he then joined the Board of Directors in 1982. McCormick enthusiastically looks forward to The Midwest Clinic’s continuing to provide inspiration and practical information for band, orchestra and jazz directors, with special attention to young teachers in less-than-optimal situations, and also expanding attention to community bands and orchestras, studio teachers, composers, arrangers, professional performers and to international participation. He and his wife, Connie, reside in Fort Myers, Florida. Their lives are enriched by learning, service in community organizations, and opportunities to travel widely for education, pleasure and for McCormick’s activities as a guest conductor, lecturer and clinician. The Board of Directors also honors those who recently stepped down from these offices, but remain active members: Past President Ray E. Cramer; Past Vice President Mark S. Kelly, and Past Treasurer Glenn E. Holtz. They continue to serve The Midwest Clinic with passion and generosity. In 2009, the Board of Directors welcomed Mark Laycock. Laycock is the Director of Orchestras at Wichita State University, where he holds the Ann Walenta Faculty of Distinction Endowed Professorship. 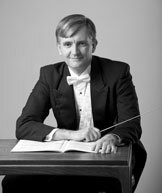 Known also for his work as a guest conductor, clinician, and adjudicator in 16 states, Laycock received his BA in Music History and Literature from the University of Southern California, his MM in Instrumental Conducting from the University of Nebraska-Lincoln, and his DA in Orchestral Conducting from the University of Northern Colorado. The Midwest Clinic community benefits from his rich experience as an educator and musician.